New in our showroon is the Castlegarden XF140HD, Ride-on. 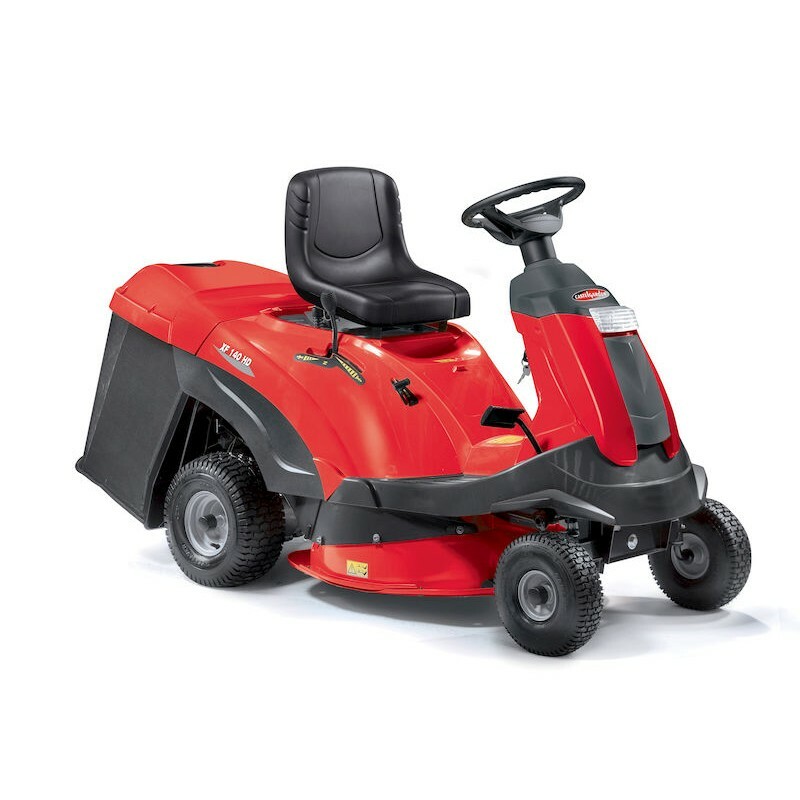 Based on the Honda 1211H, this is really an excellent value machine. Manufacturers RRP £1,583.25 + vat, whereas the Honda is £2,249.17 + vat. The Castelgarden XF 140 HD model is a compact collecting rider mower for small garden areas. It features an extraordinary ergonomy and maneuverability. It is equipped with a 72 cm cutting deck with a single collecting blade and a grass-catcher with a volume of 170 litre. The great hydrostatic speed control is light and gives you a very comfortable driving feeling. XF 140 HD is powered by B&S P.B. Series 3130 AVS 344 cc engine. For detailed specification then click on the thumbnail below.